Have you been looking for just the right condo complex & a ground floor unit, then wait NO more! Come check out this very well maintained unit at On Top of The World in the Tahitian building located in Clearwater. This ground floor unit has a new covered awning, so you can relax and enjoy the outdoors on the patio. The interior has had the following updates: New paint in several rooms, new french doors in Florida room, guest bathroom updated, new dishwasher, new blinds throughout, new back door with window that has built-in blinds and new landscape out front. 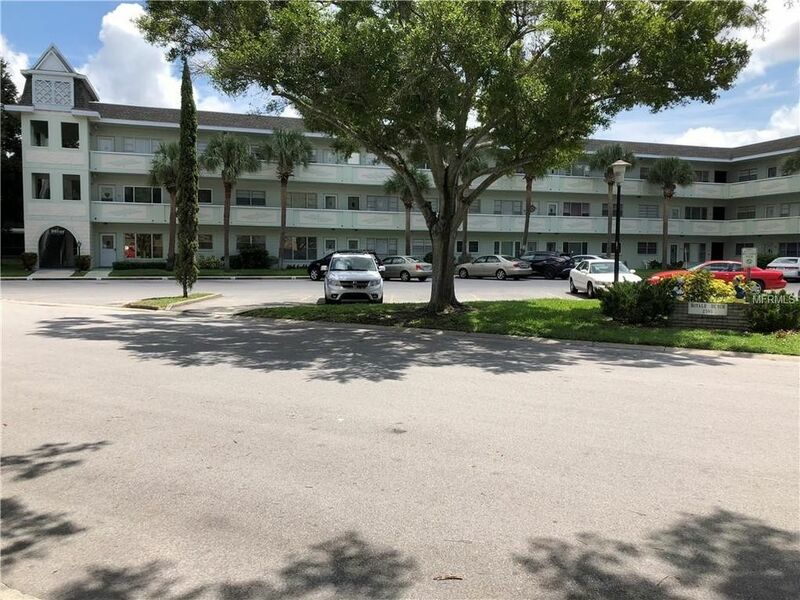 This is the perfect location for those who love to golf, shop, dine out, along with being so close to the area beaches and the very cute & artsy downtown area of Dunedin. If you love to walk, golf or ride a bike this is the place, with even so much more to offer! Come make this your new home before it's to late. Washer, Dryer & Refrigerator that are in photos do not convey. The electrical and plumbing for the washer and dryer have now been brought up to the new code per On Top Of The World, along with a newer washer and dryer that have been installed in a closet in the Master Bedroom. All this has cost the Sellers about $2500. Room measurements are approximate buyer to verify. Conventional, 35% is required as a down payment. Directions: East Belcher entrance. Stop a guard gate, then take 1st left onto World Parkway Blvd. Follow to Tahitian Lane.